If nothing else this show definitely brings a great combination of hilarity and just pure fun. We get to see Akko’s slow journey to become the kind of witch that she has always dreamed of being. 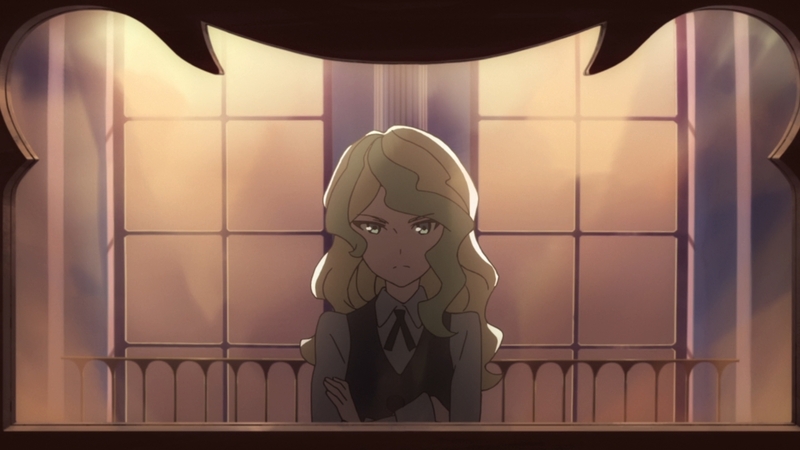 Despite the fact that she makes little magical progress in this episode she brings a lot of pep and energy. There is something to admire about someone who just wants something so bad that they throw themselves into it. 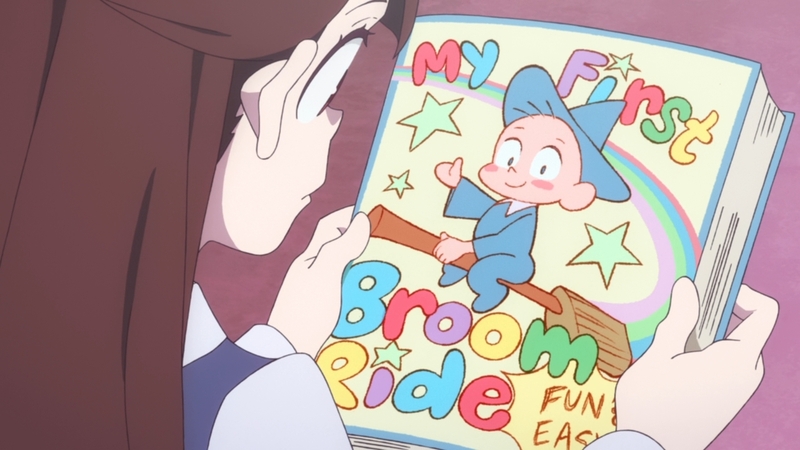 Akko doesn’t get bothered that Ursula hands her over a book for elementary school students; she just dives into it and tries to get somewhere. The girl wants to fly, she wants to be like Chariot and she’ll go all out for it. She is someone easily distracted and pulled in many directions, but it isn’t from a lack of passion. I’ll also throw in an apology on being late with this. Life just got insanely busy. That really just delayed everything including talking about this episode. Hopefully everyone is still interested in talking about it though. I think one character that really deserves credit coming out of this episode was Sucy. That girl really put in a lot of effort once she had motivation. 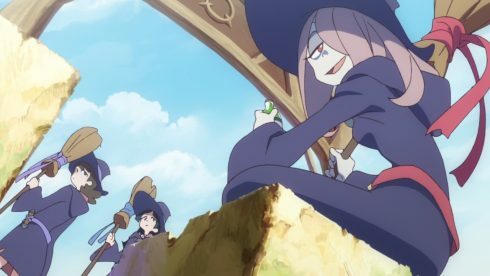 In that sense Sucy is the type you want on your side, but you just need to give her a reason to care. While some of her attempts to help Akko learn to fly were extreme, she did actually want to help her learn to fly. And really without her efforts that race wouldn’t have been so close. Sure you can accuse her of cheating, but she also realized how bad their chances were otherwise. She looked at the skillsets they had (some average fliers and one person who can’t fly) and realized they only had one real choice in order to win. I’m just impressed with her determination and willingness to do what she had to do. 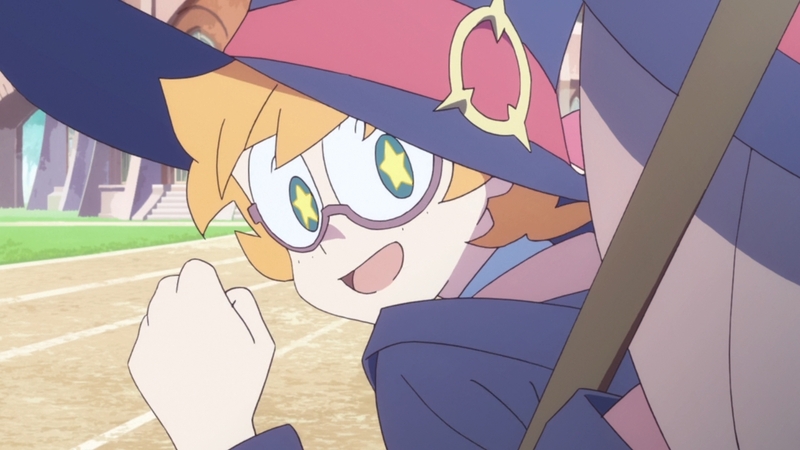 And I did like Lotte’s moments in the episode. Even her peers really consider Lotte as the average girl XD. 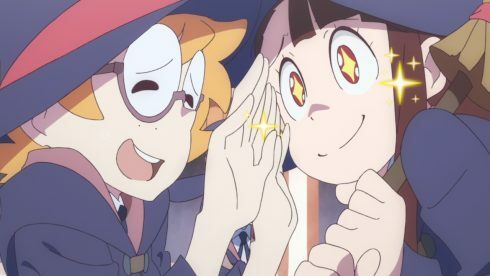 But I liked just her being purely happy for Akko being close in the race. It didn’t matter how she ended up in that position, but a new friend for her is doing her best and that’s worth supporting her. Plus she really does have to handle quite a bit of difficulty. Akko’s got an upbeat and energetic personality…but she can be rather in your face at times. That can be a bit tough to deal with at times and she handles it well. 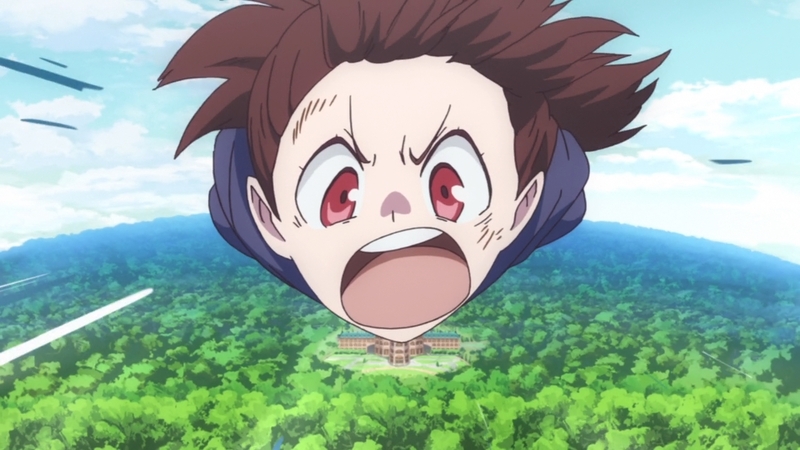 This episode did show though how far Akko has to go. That girl is…beginning from almost behind the starting line and it makes sense. The other girls have grown up in this Witch community and have learned magic from childhood. 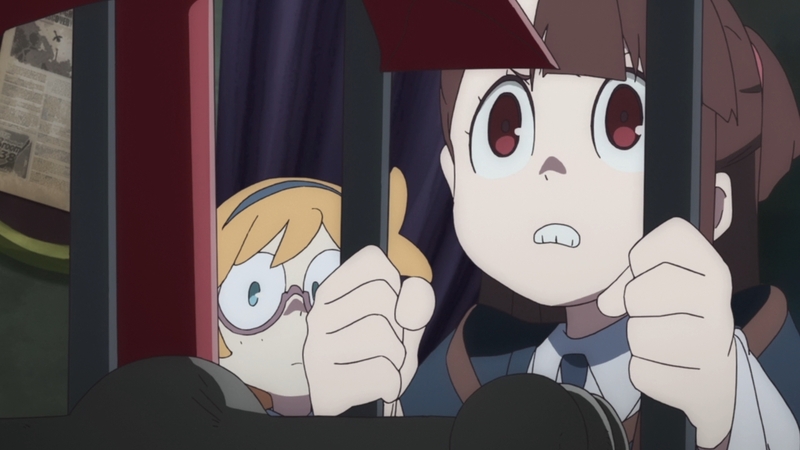 Akko has been a fan of Chariot for years and seen shows, but she doesn’t have a lot of legitimate knowledge. 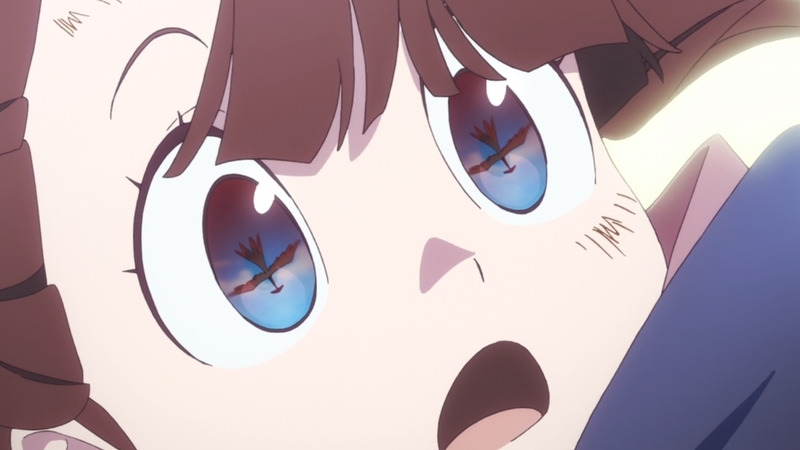 Akko’s mindset also creates an interesting point to consider. The girl is very energetic and kind of bounces around. She may also just not be suited for standard book learning. Sucy might have made a good point that Akko can learn faster with her body than anything else. But I do think the biggest thing holding her back is just not understanding the basics for magic. With more time and experience she will be fine. 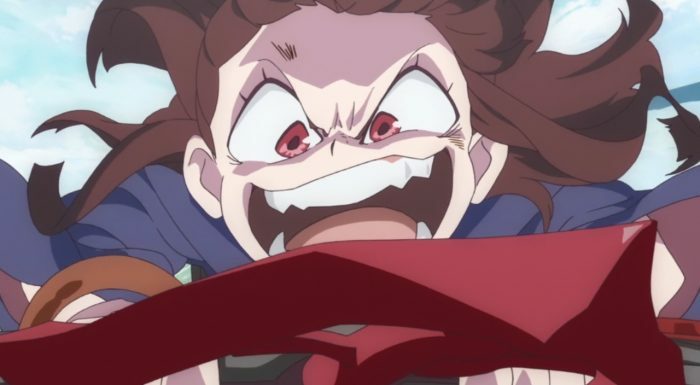 Of course this episode shows the good of Akko’s personality. Few would be as insane as grabbing a cannon and launching themselves at a wild flying broom! 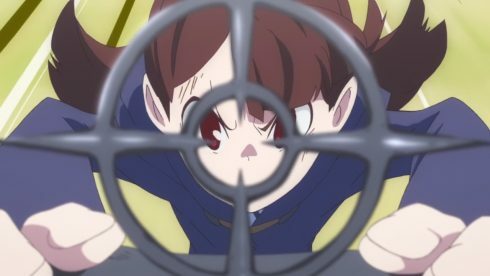 Though the one thing I liked most from that scene was Akko being able to fire the cannon with magic. 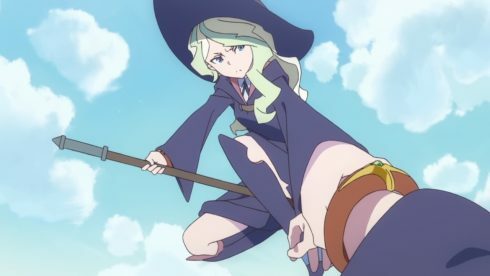 I was getting a bit worried she’d never be able to do any real magic that didn’t come from a special kind of relic like the Shiny Rod or Shooting Star Broom. Now I do hope that eventually she does get that broom back, but once she’s been able to improve her own skills. Likely she’ll need that thing eventually, but for now she doesn’t. But anyways, that scene was hilarious and awesome at the same time. 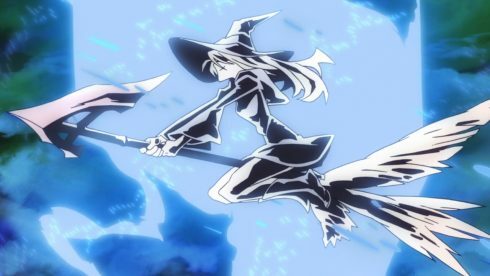 When a girl manages to look terrifying to a crazy broom the world has just reached hilarious levels. I give props to Diana for being a good person in this one. She did make a potentially big mistake last week and didn’t like the fact that she got all that credit. But in this one she makes a big save and makes sure Akko doesn’t end up dead. Truly Diana is a good person. She has some problems sure, but she’s not like the lackeys she has following her. She doesn’t go around antagonizing people constantly. And really it is fine for her to win this race, she deserved it. 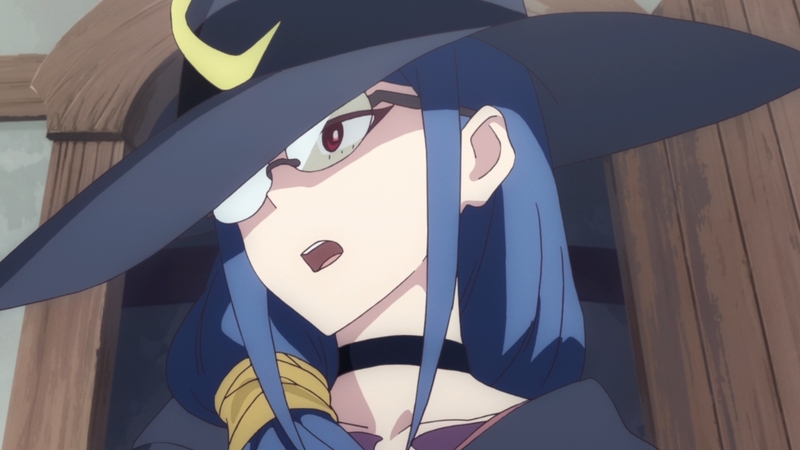 But I do like the point by Ursula that someday….that passion of Akko’s might just turn into something amazing. This was another great episode. And basically cements Little Witch Academia as the show I’ll be talking about for the Winter Season. It was tough to make a choice this season with a lot of good shows. But in the end this show is fun and I’m curious to see where the story will go. It feels like they are set up for something to happen that sooner or later will shake up the status quo.